Petersen Oil & Propane offers gasoline and diesel delivery for Residential, Commercial, Industrial and Agricultural uses. 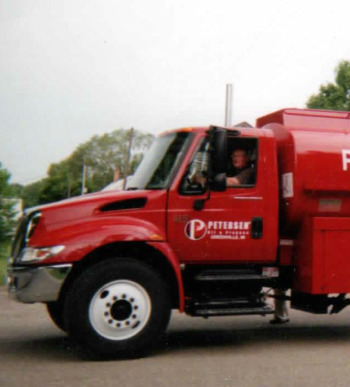 With Capacity to handle local deliveries from 100 gallons to 4000 gallons, or statewide transport truck deliveries up to 13400 gallons Petersen Oil & Propane can accomdate virtually any fuel need. We understand fuel is a necessity to your business which is why we are available 7 days a week to keep your operation running smoothly. In addition to fuel delivery we carry a full line of fuel tanks and dispensing equipment to assist you in the setup of a new fuel storage system or maintaining your existing layout.